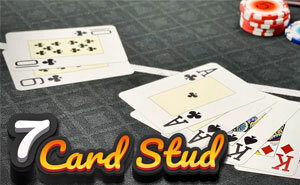 Find list of poker rooms which have been reviewed by the experts here at PokerSitesUK.com. This entire website has been compiled in such a way that we carefully vet each UK facing poker site, and only if any of them meet our strict criteria in giving poker players in the UK the best of everything, will then they become one of our approved poker sites. Part and parcel of you having one of the very best online or mobile poker playing experiences, much more so if you are a poker player who is based in UK is finding out just which poker sites are going to be giving you the very best playing experiencing, and that is what this guide is dedicated too. It is only going to be the poker sites that accept GBP, offer lots of payment options, and much more important are licensed and regulated by the UK Gambling Commission that you will see featured and reviewed on this website, which guarantees that they all offer fair and random games and adhere to the very highest of standards too. 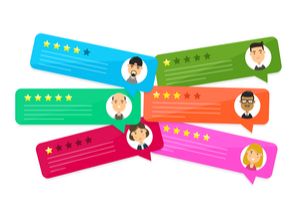 By giving you access to full and very detailed UK poker site reviews, players based in the UK can then pick out the poker sites or apps that tick all of the boxes on their own personal checklist of wants and demands. I know that every single online poker player is going to have their own unique set of wants and demands when they are on the hunt for a new poker site in the UK at which to play at, and as such I have taken that into account when compiling each of the poker site reviews you will find throughout this website. First and foremost those reviews will give you a basic overview of what each poker site is offering you as a player and will then go into much greater detail about the unique aspects of each of them too. By reading through several of them whilst also keeping in mind exactly what you are personally demanding from any UK poker site, you can them compare what each of them will be making available to you, and will be in a much better position to find one that suits you down to the ground! 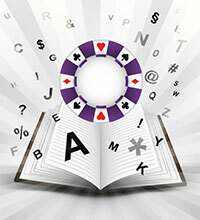 Play at UK Poker Sites Reviewed by the experts. Are Poker apps as good as poker rooms? 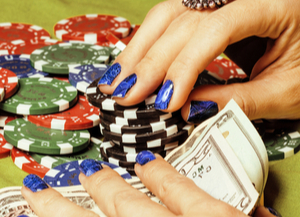 Can I play pot and no limit poker games online? It is possible to play lots of poker tables all at once? What poker software platforms can I use in the UK? 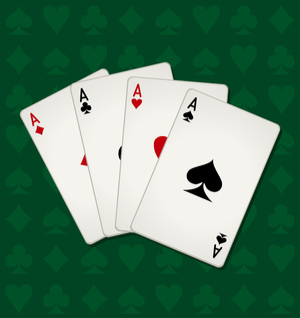 Are all players poker hands available for review? I do have my own personal criteria that every single one of the UK poker sites that are potentially going to be showcased on this website must match, and as such allow me to give you some insights into what the criteria is and what you will find every single one of those sites will have to offer you. Initially, I look only for poker sites that are licensed and fully regulated by the UK gambling Commission, as that way I can be completely confident that each sites showcased throughout this website has met the minimum requirements for that gambling license. The owners and operators of those UK poker sites will have been fully vetted to ensure they have the experience required and much more importantly the financial resources required to run an online or mobile poker site, and the owners will need to be of good character to be awarded a license to operate too. Plus, there is also a requirement when applying for and ultimately being granted a UK Gambling Commission issued gaming license that every single game on offer along with the poker tournaments are provably fair and completely random, so you will never have any worried regarding game or tournament fairness at any licensed and regulated poker sites! At the end of the day you always need to keep in mind that when you do set about playing poker at any poker sites or when using a poker app as the way you access real money cash ring poker tables or when playing any entry fee to take part in a poker tournament, the cash you are playing with is your own hard earned money. Your set aside bankroll needs to be treated with the utmost respect and you must never, ever do anything that is going to be putting your bankroll at risk, for if you do so then there is a very good chance you will lose that bankroll! I always suggest to anybody who does fancy playing poker at any UK facing online poker site or when using a UK based poker app, to spend as much time as they can picking out the sites or apps they are going to be utilizing very carefully. That will mean you probably will have to spend quite some time comparing just what each poker site or app is going to be offering you, to ensure you will end up playing at a site or utilizing a poker app that suits both your playing style and your bankroll down to the ground. It can be and often is way too easy to get side tracked when you are comparing just what poker sites and apps are offering you, especially when you see one of them offering above average and often awe inspiring new player sign up welcome bonuses. However, they do say if it looks too goo then is probably is, and that is something you should always keep in mind regarding sign up welcome poker bonus being offered to you by poker sites that are not licensed in the UK or even are not licensed at all. If you do get blinded by the size of poker site bonus and have not ensured the site offering you that bonus licensed in the UK, then you run the risk of playing rigged or gaffed poker games, that no matter how you play you can never win. Also keep in mind that any unlicensed poker site could also take an absolute age to pay you out your winnings or may not even send you out your winnings at all, and will simply ignore your requests to get paid. So my advice, as always, is to only play at UK poker sites reviewed and showcased throughout this website, for complete peace of mind! I doubt that as soon as you become aware of how UK Poker sites that you are going to want to play at some of them, and even if you choose to play online as opposed to a land based poker room you will find plenty of them on offer to you. It is of course always going to be the offerings available each of them that you should carefully check out as there can be all manner of different rules put into play in them, but as they do tend to offer lots of additional cash prizes and pay-outs when you know players out they can be great fun to play. Visiting the websites of any online, mobile or even land based poker sites and rooms is also something I would actively encourage you to do as by doing so you are going to find a scheduled that will list all up and coming poker tournaments and a list of their poker games too. It is often a numbers game too, when you enter poker tournaments or poker games for if there are any you take part in that has lots of other players taking part in them and there is a bounty on each player’s head that does of course mean there are lots of additional prizes on offer to you. Do try and also see if there is ANY online UK poker sites that may be offering you free to enter games and tournaments for by taking part in them you have nothing to lose of course. It will of course be up to you and you alone whether you do indeed fancy taking part in any UK poker games or tournaments, but make no mistake about it they can be lots of fun and if things do go your way they can of course be very profitable too. What you need to also ensure that you are very familiar with is that the basic strategy for the poker game variant attached to this type of poker tournament will not change, and as such many players do make the mistake of trying to play a boom or bust type of game during poker tournaments. Sometimes of course when players do throw caution to the wind and play any type of poker tournaments in a way that sees them bluffing a lot and playing forward with cards that have a much lower chance of winning, they could indeed win. However, the general rule of poker is that a bluffer who continually bluffs is always going to get found out in the end and will often be taken to the cleaners by a much more experience player, so do keep that in mind. As far as the best strategy to adopt when entering bounty and knockout poker tournaments is by watching videos of how other players play, for it is very true to say all players will eventually find their own unique playing strategy n the end, including you of course! The cost obvious tip I can give players who do wish to get involved in playing poker games or tournaments is to set about entering them at a poker sites that does have plenty of them on offer, that may sound obvious, but each poker site could have plenty of different types of poker tournament schedule each day of the week. The way in which you will find out quite quickly and easily just which poker sites are going o be offering the bigger range of poker tournaments is by taking a look at the list of scheduled poker tournaments that all sites will have listed on their websites. It will usually however be those poker sites that have one for more star players playing at their sites, and it can often be the case that those are going to be the players you do have to knock out and that have a bounty on their head. It is of course also obvious that you are going to have very little chance of ever winning a poker tournament of those type if you have no fully mastered playing he base game used on them, so always ensure you have cast experience of playing those base games first, long before you start entering real money Bounty and Knockout poker tournaments. If you want to be in the best position possible to have a much greater chance of winning any such poker tournaments then look out for those that are being played at a poker site or even poker venue in a land base casino that are being held at the much quieter times of the day or night. The fewer opponents that you have to beat the better your chance of winning will be, but only if you do adopt a good playing strategy and have also full mastered playing the base game, and that will come through experience of course. I just know that if you are new to playing poker and entering poker tournament at UK pokers sites you may have a whole host of different questions about doing so, and with that in mind here are the answers to several commonly and frequently asked questions.